One thing hobbyist photographers and serious photographers have in common: When traveling, neither would ever think of leaving their photography equipment at home. Traveling provides a great opportunity for capturing memorable photos. But no one wants to damage his or her photography equipment when transporting it while traveling. 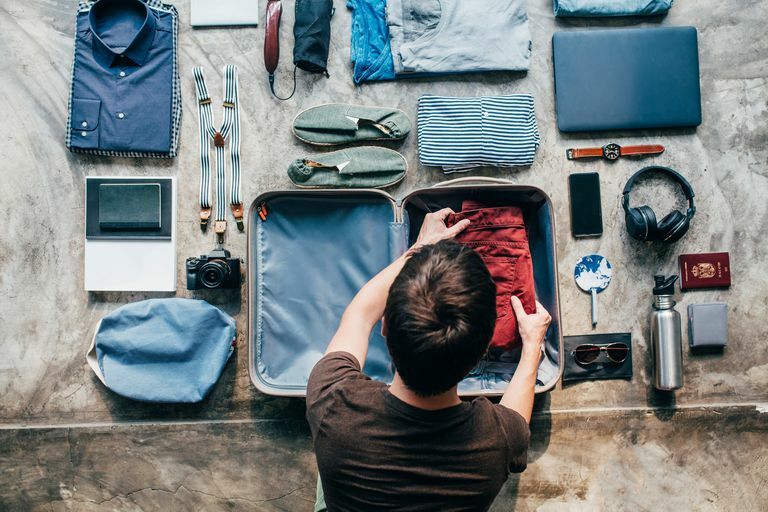 Use these tips to learn how to pack a camera bag for travel, ensuring that your photography equipment arrives safely. Make sure everything is tight on the camera: USB covers, lens caps, battery compartment panel, etc. Any loose compartments could be torn off or broken if the camera moves around during the trip. It’s not a bad idea to travel with the battery and memory card removed from the camera. If the battery is removed, you won’t have the worry of the camera inadvertently powering on while you travel, draining the battery before you arrive. However, keep the battery handy, as you may be asked by airport screening personnel to prove that the camera is a working piece of equipment. If you’re flying, avoid leaving your camera equipment in checked luggage; carry it onto the plane, if at all possible. If you must check it, consider purchasing a specialized protective case that can be secured. Check with your airline concerning your options for checking your photographic equipment, but only check the camera equipment as a last resort. If you have to take a camera out of a bag or pocket when going through security, make sure you have a good grip on it, as you'll almost certainly be juggling multiple objects, increasing the possibility of dropping the camera. Don’t worry about the x-ray equipment used at the airport damaging your digital camera or memory card data. Digital data and digital images are safe from the traditional x-ray equipment, and digital camera components will not suffer damage by the trip through the airport's screening equipment either. However, the screening equipment used with checked baggage could damage film, both exposed and unexposed film. Keep film in your carry-on bag, as the screening device for carry-on bags should not damage film. If you're nervous about carrying film through security, ask the personnel to inspect the film by hand, rather than placing it on a screening machine. If you have a DSLR camera, do not travel with the lens attached to the camera body, or you could stress or damage the threads used to hold the lens to the camera, if the camera shifts during travel, placing pressure on the lens. Carry the lens separately, and make sure all lens caps are tightly secured on both ends of the lens. If you have expensive camera equipment, you may want to purchase a hard-sided case that provides padding inside. Some such padding is specifically made for certain types of lenses or camera bodies, so take some time to find the best case for your equipment. However, such cases can be expensive to purchase. If a specialized camera bag is not available, pack the camera in some sort of cushioned bag or wrap before it goes in your carry-on bag. If you still have the original packing and box for your camera, consider packing it in that box for your travel. If the camera will be packed in a carry-on bag where toiletries also will be packed, be sure to pack the camera inside a sealed plastic bag to protect it from inadvertent liquid spills. When packing your photography equipment, make sure you take your battery charger. You’d hate to have a trip scheduled for multiple days and have a dead battery after day one with your battery charger inadvertently left at home. Finally, if you have a lot of expensive equipment, make sure it’s insured before you travel. Contact your insurance company or agent to determine whether you need to purchase additional insurance.